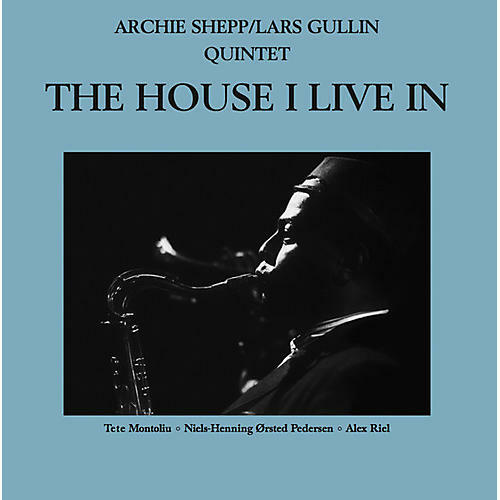 Release Date:09/08/2017;Notes:Modern Silence present the first ever reissue of Archie Shepp/Lars Gullin Quintet's The House I Live In, originally released in 1980. An incredible live album featuring saxophonists Archie Shepp and Lars Gullin, recorded at the Jazzhus Montmartre in Copenhagen, Denmark on November 21, 1963. 180 gram, virgin vinyl Edition of 500. "This is a fascinating release. Tenor-saxophonist Archie Shepp would not burst upon the U.S. avant-garde scene until 1964-65 but here he is featured at a Danish concert with the great cool bop baritonist Lars Gullin and a top-notch straight-ahead rhythm section (pianist Tete Montoliu, bassist Niels Pedersen, and drummer Alex Riel). The quintet stretches out on four lengthy standards (including 'Sweet Georgia Brown' and a 19-minute rendition of 'You Stepped Out Of A Dream') and it is particularly interesting to hear the reactions of the other musicians to Shepp's rather free flights at a couple of points Gullin tries to copy him. An important historical release"